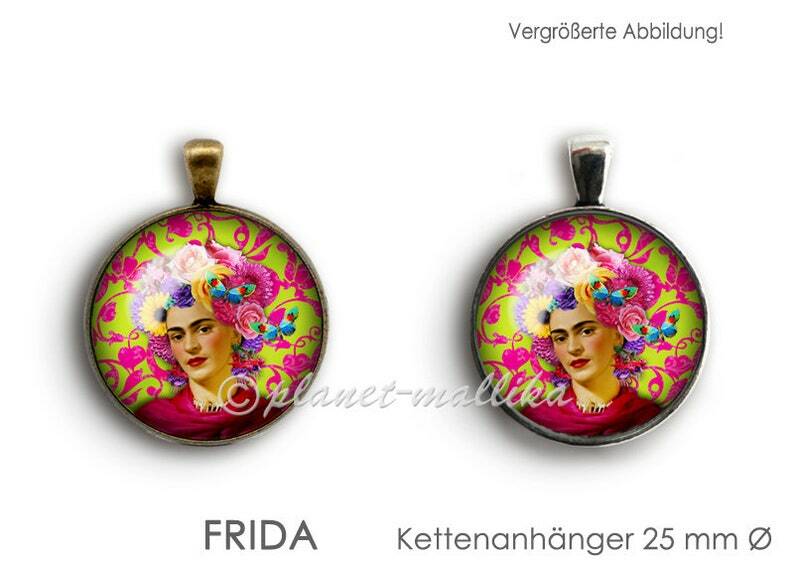 Own Frida Kahlo graphic, under beautifully curved glass cabochon on silver or bronze straps. Delivery 5-7 days from payment. The chain pendant is carefully processed with waterproof adhesive and tolerates moisture. For long durability We recommend to take it with you when washing, showering and swimming. Also with other or own motifs-see illustrations. However, depending on the expenditure, additional costs may arise, so this should be agreed before a purchase. We will then provide you with a reserved offer!